AFA’s Executive Director, Tony Thornton, was interviewed for a recent article in the Los Angeles Daily News. The article focused on the added value that a quality fence provides for homes. "Just like a deck or a backyard pergola, it’s going to increase the value of the home," Thornton said. "And if you’ve got a home sitting side by side and they’re identical in square footage but one has an enhancement, you’re going to get more for it." View the full article online. AFA members have access to resources through the member portal on the AFA website. Recently, an update to the safety and employee manuals were made available. This is a great resource for member businesses. To access the materials, members can select "Member Login" located at top of the AFA website. Members will enter their credentials and locate the documents under the "Member Documents & Resources" button on the left side menu under Member Resources. Please contact memberservices@americanfenceassociation.com. 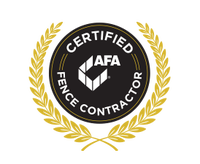 Testing for the new Certified Fence Contractor designation will be open to individuals with 10 or more years of fence industry experience during FENCETECH 2019 in Indianapolis. The event takes place March 13 – 16, with testing expected on March 14 at the Indiana Convention Center. The annual Young Fence Professionals Round Table will be hosted by Fortress in DFW on Friday, August 24th and will provide a dynamic agenda that takes the young fence professional in your business to new heights in their communication, business sense and networking! RSVP today to save your seat at the event. 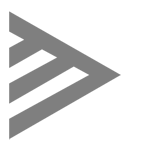 The Vinyl Manufacturers Association (VMA) is on Facebook. If you are a current VMA member or would like to connect with updates on what’s going on in the vinyl industry, please follow VMA on Facebook. THERE'S STILL TIME TO PARTICIPATE IN THE SAFE DIGGING SURVEY! Thank you to our AFA members who have participated in the 811 Safe Digging survey! There’s still time to weigh in, and we want to hear from you! Follow the link below to take this quick survey and share your own thoughts and questions about safe digging. We’ll reveal the survey results during our Member Webinar on July 24th. Take the survey! How much do you know about your safe digging obligations? Join fellow AFA members for this exclusive webinar, where we’ll teach you about 811 guidelines and give you some valuable tips on how to stay safe and avoid costly utility damage charges in the future. A 30-minute webinar that could save thousands of dollars in potential costs down the road? We’ll take it. Sign up here! Your digital edition of the latest issue of Fencepost is available! 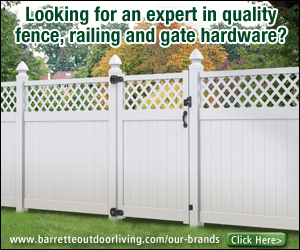 Catch up on the fence industry's latest insights, products and news. Plus, learn how to give your fence company a good name with our top 5 reputation management strategies. D&D Technologies USA moved from its Huntington Beach, CA home on June 22, 2018 to a new facility less than a mile away. The new facility is twice the size and will allow for further expansion as the company continues to grow. The Northern Ohio AFA will be hosting its fourth sporting clay shoot at the beautiful Hill’nDale Club in Medina, OH on September 26, 2018. Members and non-members of all shooting abilities are encouraged to come! There are many levels of sponsorships available, as well as other advertising opportunities, such as door prizes and handouts. To reserve your spot and learn more about sponsorship options, call Ken Throckmorton at 330-321-5522, or email foreverfencerail@yahoo.com. In response to demand from distributors, designers, remodelers and homeowners, Westech Building Products, a Westlake company, has launched The Forest Collection. This new line is 100-percent vinyl fencing in an authentic-looking natural-wood finish. Are you or someone you know in pursuit of higher education? The American Fence Association Education Foundation (AFAEF) awards needs-based scholarships to fence industry professionals and members of their immediate families. Additional eligibility and requirements do apply. Learn more on the AFAEF website. 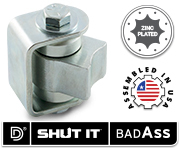 D&D Technologies’ Shut It™ Original BadAss gate hinge is a weld-on gate hinge for flat or round post installations. Sealed bearings require no maintenance. Tightest tolerances in the industry produce near frictionless movement. Precision bushing distributes gate load for optimal performance. Adjustable yoke for installation flexibility. Gates up 1,100 lb. The National Association of Realtors reports that Millennials (those born between 1980 and 1995) now make up 32 percent of all U.S. homebuyers. In order to tap into this powerful buying demographic, businesses must incorporate the power of the Internet into their marketing and customer service models. Here are four tips to get you started. Are you ready to boost your online presence and reach customers in your area with your exclusive American Fence Association discounts? 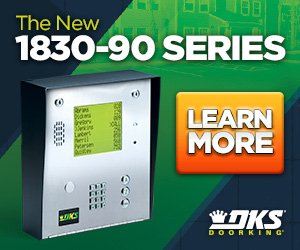 Click here to get started or call 844-761-0945 for more information. 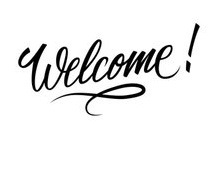 AFA extends its thanks to the following members who have either recently joined the association as first-time members or have renewed their existing membership. Welcome to the AFA family! A Westech vinyl fence system makes your dream fence a reality. 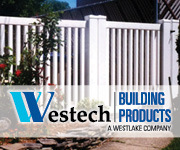 Low maintenance, extreme durability, lasting beauty, and unlimited customization possibilities make a Westech fence system the perfect solution. Westech vinyl fencing is easy to install, impervious to moisture and termites, and backed by a lifetime warranty. Call us at 866-423-2385. Dylan Fransen has joined Miller Edge in a newly created position, Director of Sales & Marketing. In this role, Dylan will lead the Marketing & Sales Departments for Miller Edge Inc., managing both strategic and day-to-day operations, focusing on maximizing the customer experience.